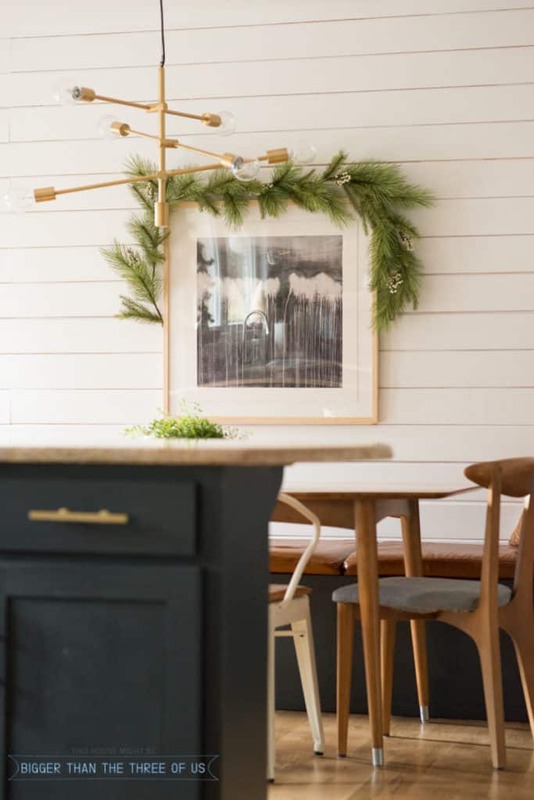 Yesterday, I posted about my “Un-traditional mantle decorated for Christmas” and today is the full-on Modern Christmas Home Tour. I hope you aren’t expecting an actual Christmas tree in this tour though because ours JUST got decorated last night. And, although, I’m sure you’ll see it sometime… it was a family decorating affair. Ha! 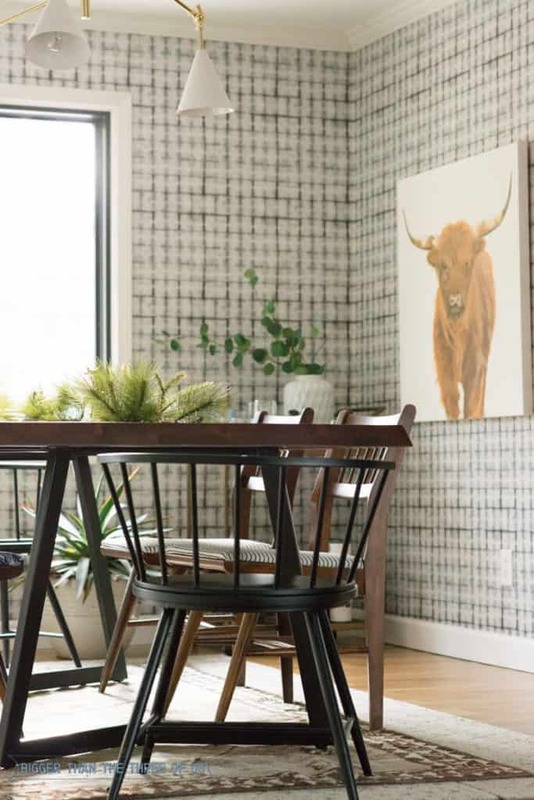 To be honest, it looks like a child did it (which he did) so it’s heartwarming for our family, for sure, but not necessarily home decor enthusiasts. 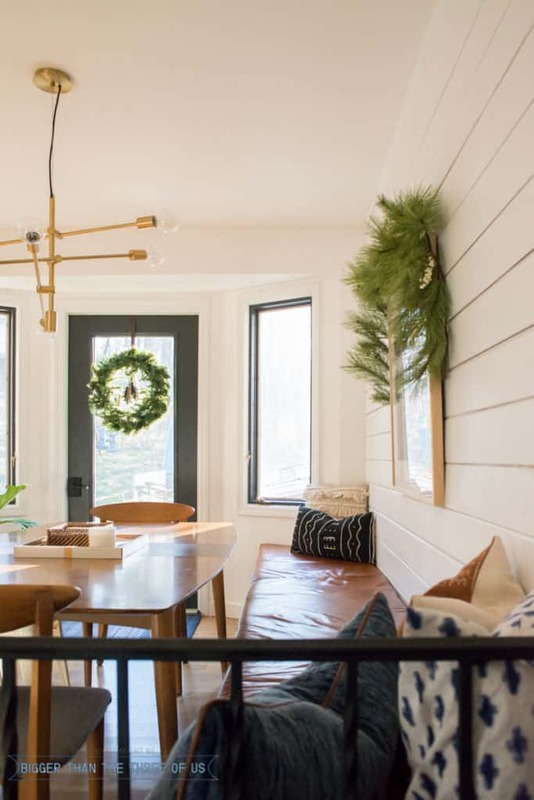 But, never fear, because I have added some simple Christmas decorations to the house and I’m excited to share with you! 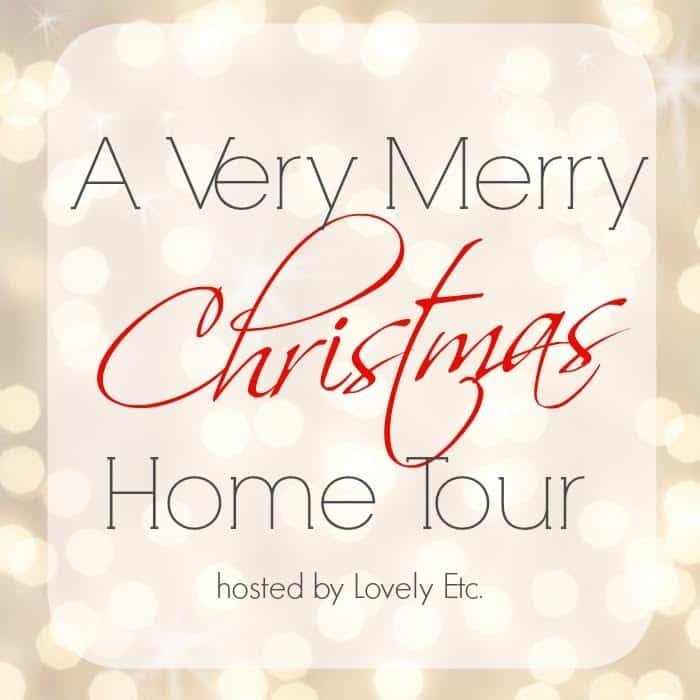 Oh, and stick around at the end because there are lots of other bloggers sharing their tours this week and if you click to follow on the link-up (at the bottom) it enters you to win $300! We could all use an extra $300 for the holidays, right?! Welcome, welcome! 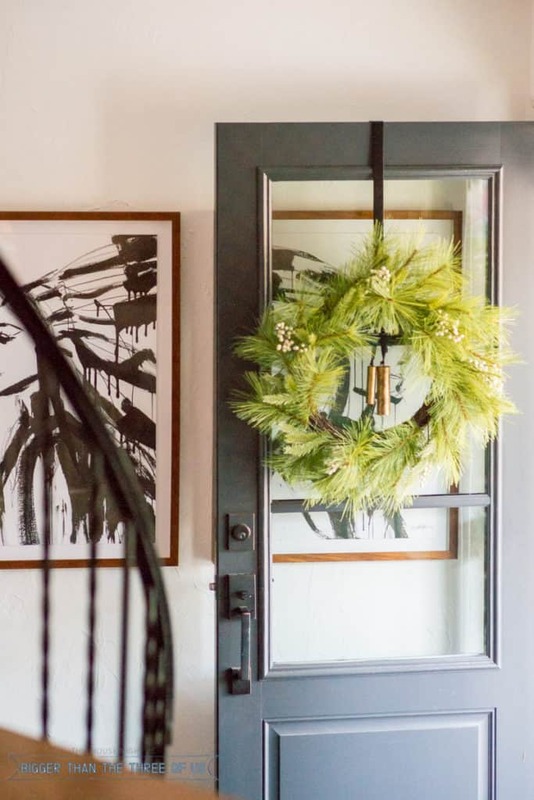 When you walk up to our house, you see our double doors with wreaths hanging on them. The doors are new this year, and I wasn’t sure what wreaths would look like hanging on the glass, but I’m happy to report that I love them! It’s cheery and welcoming. I had an extra wreath this year because I bought two new ones for the front porch and I’m so happy I thought to hang the old wreath on the inside of our patio door! I used a standard wreath hanger (same as you’d use on the outside of the door) and it worked great! If you keep going up the stairs, then you face the kitchen. 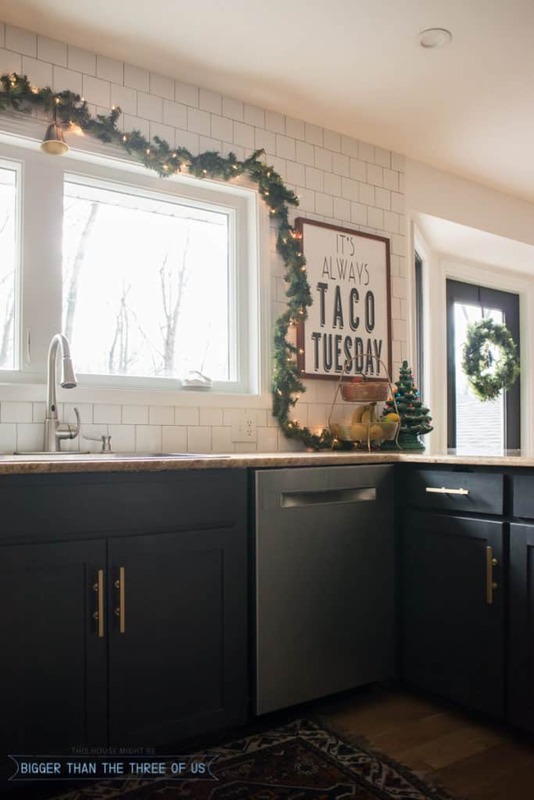 If you are new here, feel free to check out our DIY Kitchen Remodel including how-to install floating shelves. Little bits of Christmas were placed on the shelves. Check out yesterday’s post, to see more details and pictures of the Christmas Kitchen Shelves. 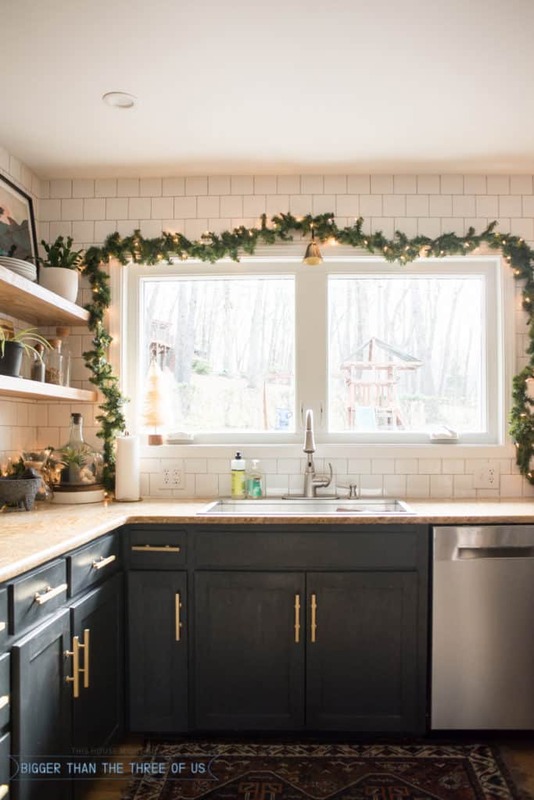 I hung some pre-lit garland above the sink and, although I wish it was fuller… it does add charm to the space. I used command strips to hang the garland and it’s been up for about a week and I’ve had no issues! The middle command strip hook holds the garland and the bell. My favorite Christmas decor piece is that vintage ceramic Christmas tree. My Grandma gave it to me a few years back and it just brings back the best memories. Turning back to the eat-in kitchen, you get this view. All I did was drape a small swag over the framed art and it was instant love at first sight! 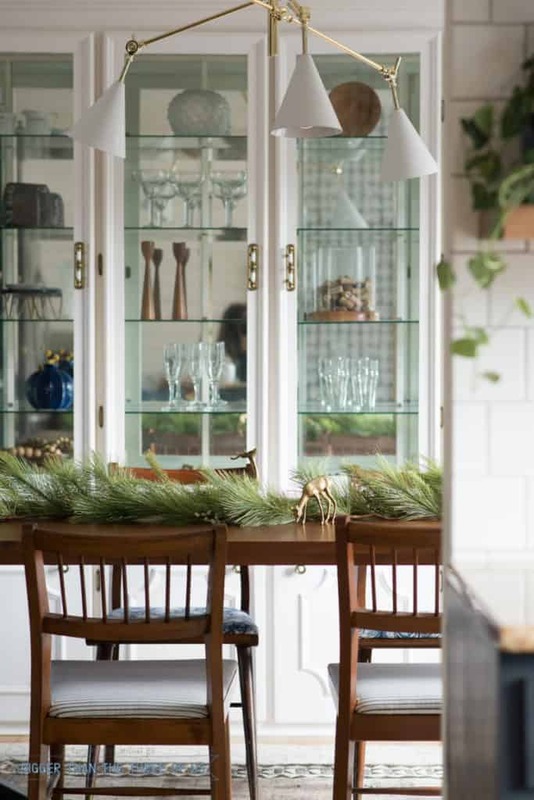 Turning back around to the kitchen again, you see the shelves with twinkly lights and bottlebrush trees. Then, past the kitchen is our dining room. 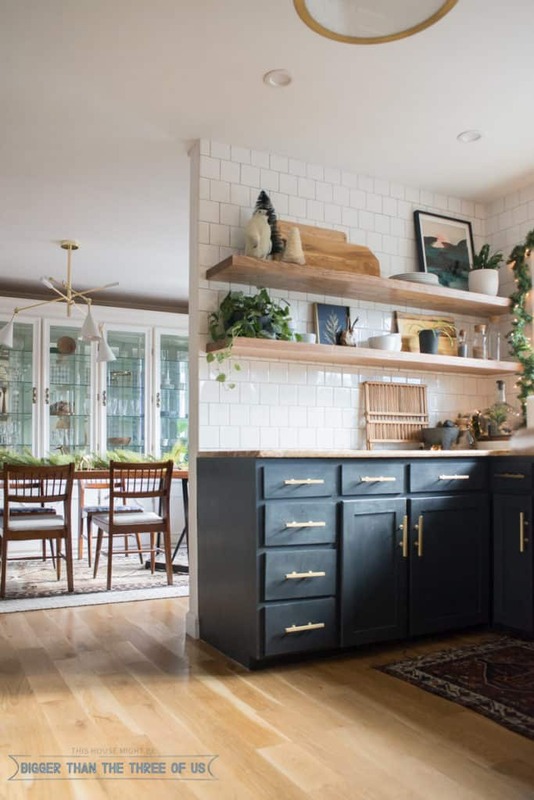 I went simple in there with vintage brass deer and a garland on top of the table. 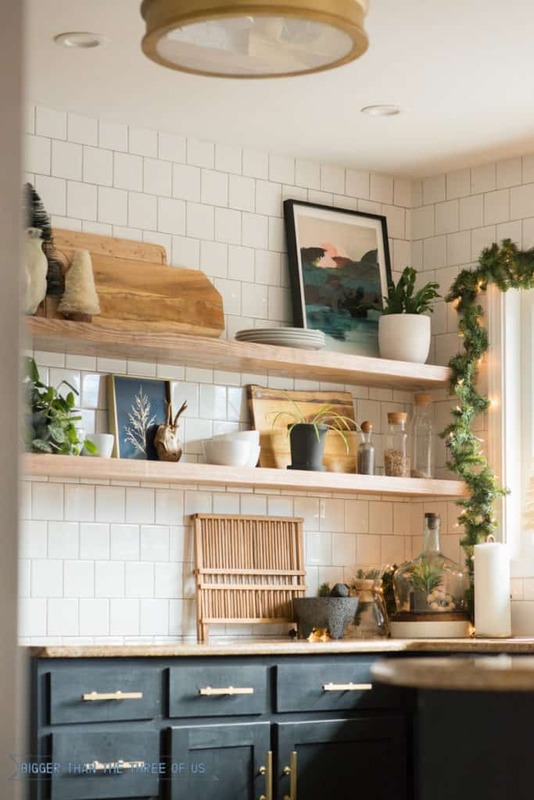 If you can’t tell, I’m all about minimal Christmas decor while still being able to get the feeling of Christmas cheer. Special thanks to Carrie at Lovely Etc., for organizing this amazing blog hop! 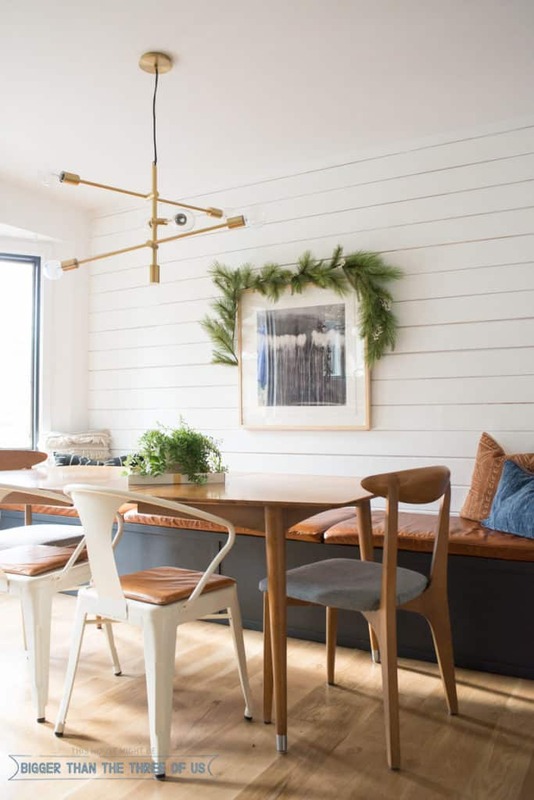 Ok, now… here’s all the other blogger’s who are showcasing their home tours. Make sure to stop by and check them out.